As crucial as social media is to creating your online brand, it’s hardly surprising that there’s at least one training system out there dedicated to helping you get the most out of your social media networks. 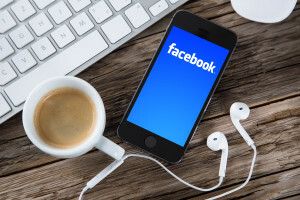 Founded by social media strategist and Facebook expert Amy Porterfield, Fbinfluence 2.0 is one of the leading online training systems in how to leverage your Facebook presence to attract attention and bring in new business. Fbinfluence 2.0 is designed for any business with a Facebook presence that hopes to leverage that presence into increased reach and a more engaged customer base. While the tools and training offered by Fbinfluence 2.0 can be used by anyone from individuals to large businesses, the information is most useful for small to medium businesses with an eye towards clear branding and a clear target customer base. If you don’t yet have your branding or target demographic worked out, don’t worry: Fbinfluence 2.0 can help you figure those out as you go. The training is specifically designed to take advantage of Facebook, but with a little creativity the same lessons can be applied to other social networks too. Rather than being simply a set of tools to drive traffic to your Facebook page, Fbinfluence 2.0 is a set of lessons designed to teach you how to build an effective Facebook campaign from the ground up. Lessons include effective branding, how to time important posts, engaging your fans and converting fans into paying customers for your business. The course is a full curriculum, with each lesson designed to flow neatly into the next so that you build up a lexicon of useful, repeatable skills that you can apply over multiple pages or businesses. In addition to the core content that comes with your membership fee, Fbinfluence 2.0 also provides a selection of bonus content, including pre-made page elements like posts and images, a members-only Facebook group, and dedicated support for when Facebook changes its algorithms or user interface to keep you at the top of your marketing game. Fbinfluence 2.0 is all about the training, and the lessons are very comprehensive. 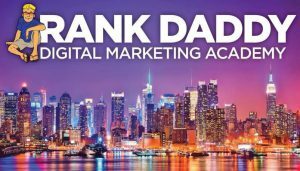 Split into four distinct modules, the training begins with the basics of creating an attractive, effective Facebook page, and takes you through the process of growing your fan base, establishing your credibility, effectively cross-promoting with other Facebook pages and turning your fans into consumers. Each module is subdivided into short, easily-digestible sections, designed to segue neatly into one another as you move through the course. The training materials are available in video form and as PDF transcripts, so you can learn at your own pace with whichever format works best for you. Additional training materials in the bonus packages cover how to build and use Facebook groups to generate active discussion of your business, generating leads for your page, and adapting your strategies to handle Facebook’s constantly-changing reach algorithms. The tools offered are mostly confined to the bonus content. A set of pre-written Facebook posts gives you a repository of effective content you can adapt to suit your business, while a package of attractive header images with encouraging captions create visual appeal and engagement for your page. The other tools you’ll need to get the most out of Fbinfluence 2.0 are the ones provided by Facebook itself, some of which (like certain apps) do require an additional cost, though it is usually relatively small. Support is by far the weakest aspect of Fbinfluence 2.0. There is no support form, no knowledgebase beyond a brief FAQ page, and – most crucially – no member forum for subscribers to interact and support each other. Any requests for technical or product support have to be sent to the support e-mail address, and, while responses are usually polite and informative, they can take a little while to be processed. In lieu of a member forum, there is a private Facebook group in which members can interact, share their experiences and help each other find solutions to their problems, but it’s less organized than a member forum would be, and with thousands of subscribers, it can be hard to cut through the noise if you have an urgent problem. Pro #1: There’s plenty of detailed information about branding, voice, and fan engagement, which all stays relevant even when Facebook’s reach algorithms change. Pro #2: The startup cost is relatively low, and gives you a lot of information for your money. Pro #1: The upsells are clearly labeled on the website before you buy, so you aren’t surprised by additional costs. Con #1: Facebook changes its reach algorithms so often it’s impossible to avoid out of date information once in a while. Con #2: You get out what you put in – Fbinfluence 2.0 doesn’t build anything for you; it teaches you how to build yourself. Con #3: You’ll have to spend additional money on Facebook ads, since the new algorithms throttle organic reach. Con #4: The system is designed specifically for Facebook. Translating it to other social media takes extra work and some creativity. Fbinfluence 2.0’s base product costs a one-time fee of $97, which buys you lifetime access to the four base modules, as well as any updates as the information adapts to keep up with Facebook’s changing interface and algorithms. The six different bonus packages also come with the $97 membership fee, covering everything from fill-in-the-blanks Facebook posts to in-depth explanations of how each of Facebook’s algorithm changes affects your page’s reach. Upsells are pleasantly few, and mostly come in the form of recommended products in the training videos; some are expensive, but very few are necessary. One cost, however, that is not obvious at first glance is the cost of purchasing Facebook ads: now that reach for a page’s posts has been throttled, even with the best information available there’s no way to take full advantage of Facebook without purchasing targeted ads. The cost for these varies, of course, based on the size and scope of your business. Plenty of training systems plug themselves as the newest and greatest way to attract fans and “likes” to your Facebook page, but Fbinfluence 2.0 really puts itself ahead of the pack by treating your Facebook page as a real representation of your brand, rather than just a conduit for page impressions. The lessons are detailed and in-depth, and the multiple formats and bite-size module sections make the information easily digestible even for novice Facebook users. The customer support definitely leaves something to be desired, and the sales material definitely does not prepare you for the out-of-pocket costs there will be to purchase Facebook ads for your business. In addition, Facebook changes its algorithms so often that it’s almost impossible to be sure you’re dealing with current information. Regardless of its flaws, Fbinfluence 2.0 really does offer a comprehensive and cost-effective set of lessons in how to make social media work for your business, and is a great way to learn the ins and outs of creating an effective Facebook presence.